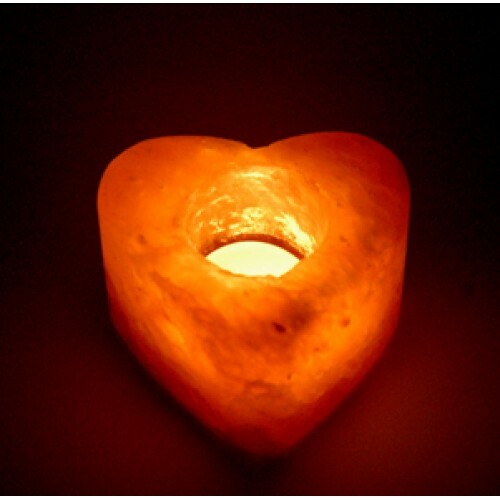 Gorgeous Heart himalayan salt tealight holder. 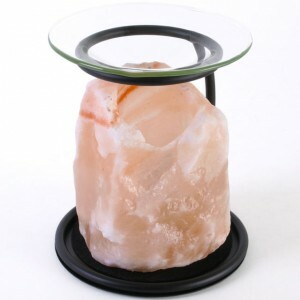 Himalayan Salt Lamps are said to enhance moods, help with breathing difficulties like asthma and make the air cleaner indoors. They are a pale pink in colour but when lit look like a ball of fire and orange, really beautiful. 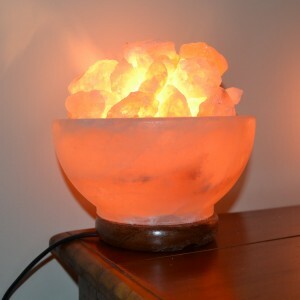 This will brighten up any room, just fantastic! Please note, this Item has no feet and should be stood on something so it does not spoil furniture.